We are a leading Manufacturer of carton box plastic pallets, floor plastic pallets and carton box corner pallets from Delhi, India. To meet the variegated needs of our precious patrons, we are engaged in offering high quality Carton Box Plastic Pallets. 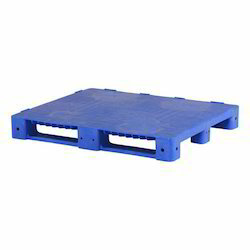 The offered pallets are used to give support to the product. At our well-equipped manufacturing unit, the provided pallets are perfectly designed and manufactured using quality assured material as well as ultra-modern techniques by our dexterous workforce. Our offered pallets are available in numerous sizes and other specifications at cost effective prices. Consistent innovation, coupled with alert understanding of client's needs, makes us the most renowned provider of Floor Pallets. The pallets by us are widely used for supporting products. At our well-equipped production unit, our provided pallets are manufactured making use of supreme grade material with the assistance of pioneered techniques. 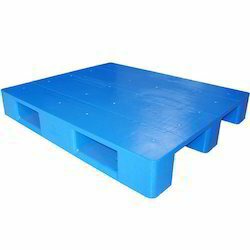 Moreover, we offer these pallets in different sizes and shapes as per the requirements of our patrons. We are placed among the noteworthy organizations, engaged in offering high quality Floor Pallets. These pallets are widely applauded by our clients owing to their sturdiness and excellent look. Following the predefined industry standards, these pallets are designed under the stern direction of skillful workforce using high grade material as well sophisticated technology. Our clients can avail these pallets from us in attractive packaging at reasonable prices. We are committed to offer our clients a superior assortment of Carton Box Corner Plastic Pallets to the clients. These pallets are used for product support and cushioning. The provided pallets are designed and manufactured using premium class material under the stern guidance of skillful craftsmen as per the set industry standards. These pallets are thoroughly inspected on numerous parameters for ensuring their quality. 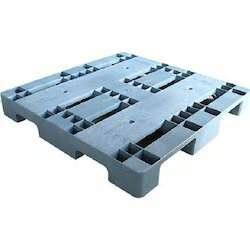 Furthermore, our prestigious clients can avail these pallets from us at a market leading prices.